Through the years, homeowners have enjoyed the numerous benefits and advantages of having decks in their backyards. Decks are sometimes synonymous to relaxation during your idle time with your family and friends. But more than this, decks also serve some practical benefits which homeowners can take advantage of. If you are planning to have your very own deck, there are some factors you need to consider in order to have the most ideal deck that every Tennessee household could have. First, you need to know your budget and how much you are willing to spend in building and maintaining a deck. You will be glad to know that decks are generally the most affordable outdoor living space that homeowners can invest in. By knowing what you need and what you want for your deck, you won't have a hard time talking to your deck contractor in expressing the things that needs to be done for your deck. The composite and vinyl decking could be your choice. With this type, you will need lesser maintenance as compared to wooden decks. They tend to be resistant to the different factors that normally contribute to wear and tear such as insects and inclement weather condition. This type of deck will surely stay true to form and will have little shrinkage or expansion. There are however, some brands that may result to swelling due to very hot weather. The only setback is that composite and vinyl decking may cost you some money as compared to wooden decks. Another type of decking material is aluminum but it may cost you a lot. The wooden deck is also a popular choice among homeowners. If you want a wooden deck to be resistant to rot, then the pressure treated wood should be your primary choice. Aside from this, it is affordable so even those with limited budget can have wooden decks at home. But you have to be aware that inferior wood decking easily gives in to several elements such as weather and insects so regular maintenance is a must. But if you use durable wood decks and it is properly maintained, it can sure last long to give you and your family the relaxation and fun you need. There are now numerous designs in the market so you can have the chance to select the best design of decking materials that would suit best to your home. There are now many stores that cater different deck designs and materials so they could help you get an idea. But if you are still clueless on what design you want for your deck, then Neal Ragan Construction could be your lifesaver. Here, we can provide you with different deck designs and help you choose the right deck materials for your home. We provide top notch quality services in designing and building decks. 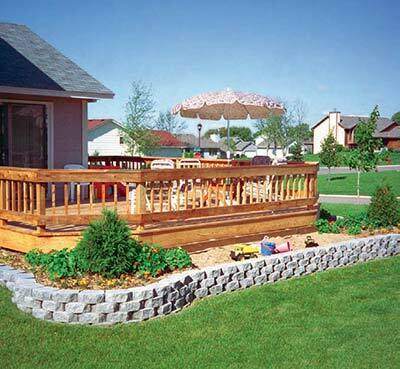 And most importantly, only the best materials are used to provide you with long lasting decks. If you are a Tennessee resident, then take advantage of this chance as Neal Ragan Construction only provide Tennessee homeowners with carefully designed and built decks that will last for years.